What’s the Difference Between All Four Mario Badescu Facial Sprays? 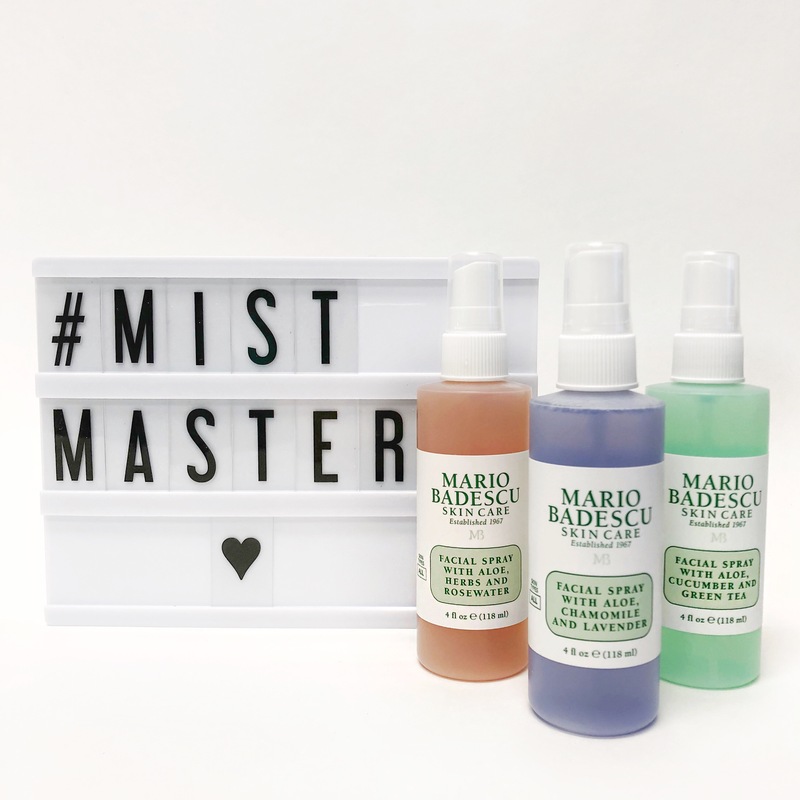 Since the launch of our latest Orange Blossom-infused facial spray, our most frequently asked question has been “What’s the difference between the four Mario Badescu Facial Sprays?” Here’s a breakdown of each facial mist: what a facial spray is, what it does, and key ingredients. What it is: A soothing mist infused with calming botanicals, Lavender Essential Water, and antioxidant Vitamin C to replenish skin while combating against skin-aging free radicals. What it is: Our latest. An uplifting blend of purifying botanical extracts and Sage and Orange Blossom Essential Waters combine to re-energize and refresh skin. What it does: Hydrates, tones, and boosts clarity. Each of these mists were made to multi-task. Spritz on clean skin for added hydration before you apply moisturizer, throughout the day to revive and refresh skin, or after makeup application for a dewy finish. Start your day with Facial Spray with Aloe, Cucumber and Green Tea. Mist on clean skin before moisturizer to boost hydration and tone your complexion. Dampen your favorite makeup brushes or sponge using our rose face mist. Once you’re done, mist your complexion to give your final look a dewy finish. Liberally mist Facial Spray with Aloe, Sage and Orange Blossom throughout the day whenever you need an instant pick-me-up. Set the tone before bed. Use our Lavender facial spray before you apply your nightly serum and night cream for a calming botanical boost.